Assessment in the College Classroom Carrie Zelna, Ph.D. Director, Office of Assessment Division of Undergraduate Academic Programs 513-7153. 2 What brings you here today…..Classroom, Course or Both?  Why would you like to learn more about course/class assessment? 3 Why Do Course Assessment?  Determine whether the learning outcomes are being met by measuring student performance  Determine whether the overall course design and materials and procedures are efficient and effective  Determine whether and how students’ attitudes toward the course and the discipline or field have changed  Identify students for remediation and exemption  Summative  May include more than one section of a course  Focused on pedagogy and curriculum Diamond, R.M. (2008). Designing and Assessing Courses and Curricula (3rd Ed.). San Francisco, Jossey-Bass. 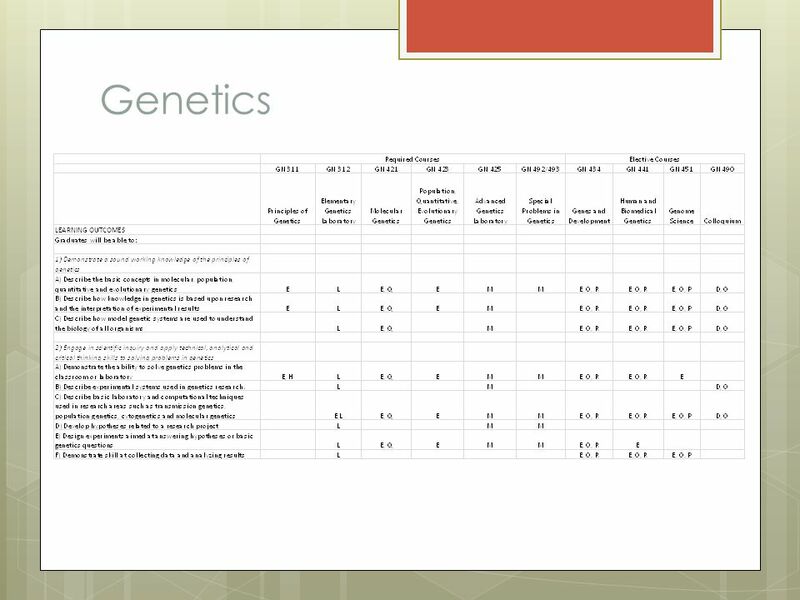 Pgs. 176-177. 4 Why Do Classroom Assessment? 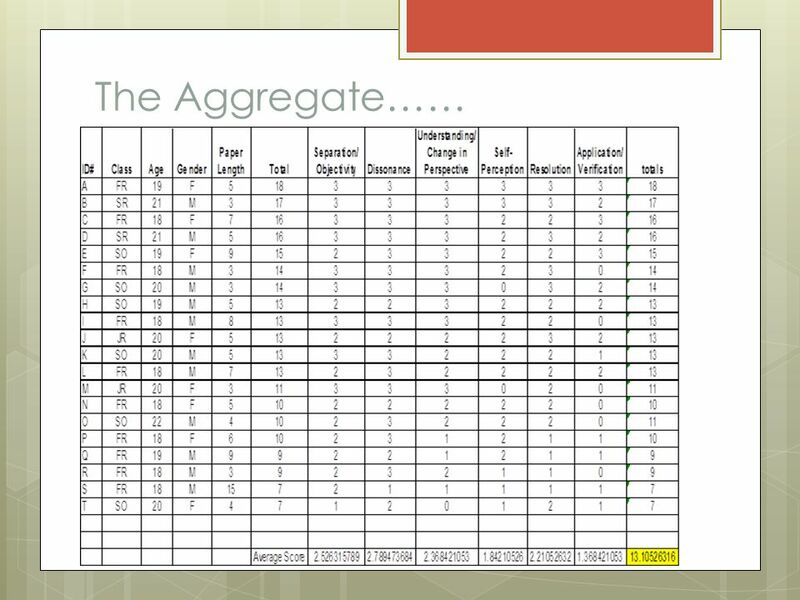  Determine what students are learning in the classroom and how well they are learning it  Learner-centered  Teacher-directed  Mutually beneficial  Formative  Context Specific  On-going Angelo, T.A. and Cross, K.P. (1993). 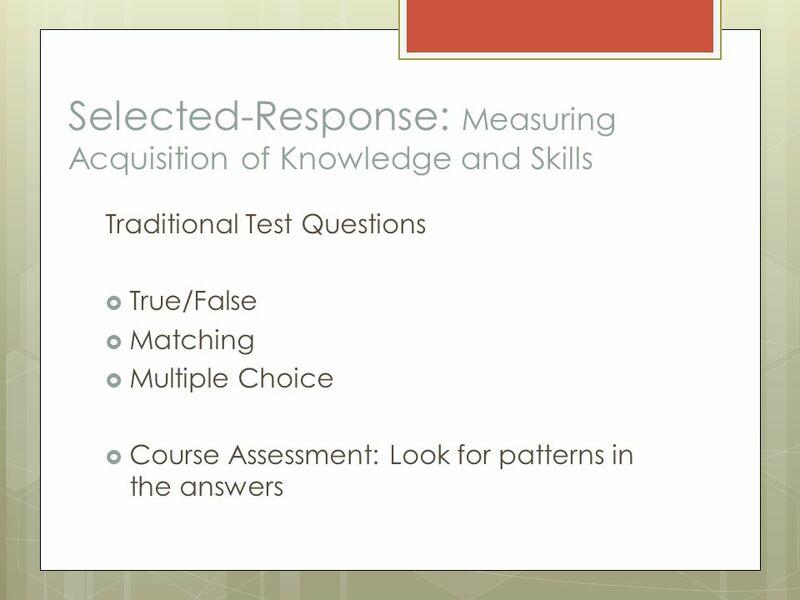 Classroom Assessment Techniques: A Handbook for College Teachers. San Francisco, Jossey-Bass. Pg. 6. 13 Add-on Assessments (Usually Classroom) Often short and anonymous Prior Knowledge and Recall  Background Knowledge Probe  Application Cards  Documented Problem Solutions  Focus Listing  Empty Outlines  Memory Matrix  Minute Paper  Muddiest Point Angelo, T. A. & Cross, K. P. (1993). 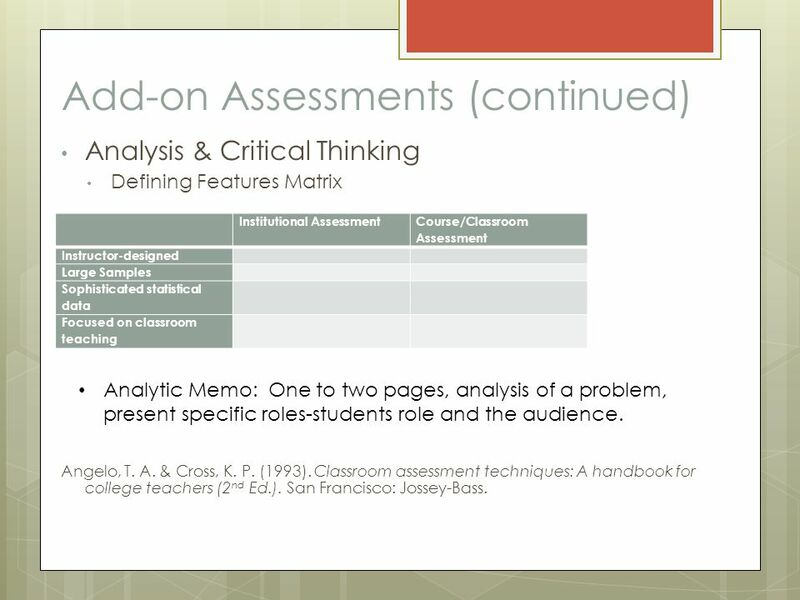 Classroom Assessment Techniques: A Handbook for College Teachers (2nd Ed.). San Francisco: Jossey-Bass. 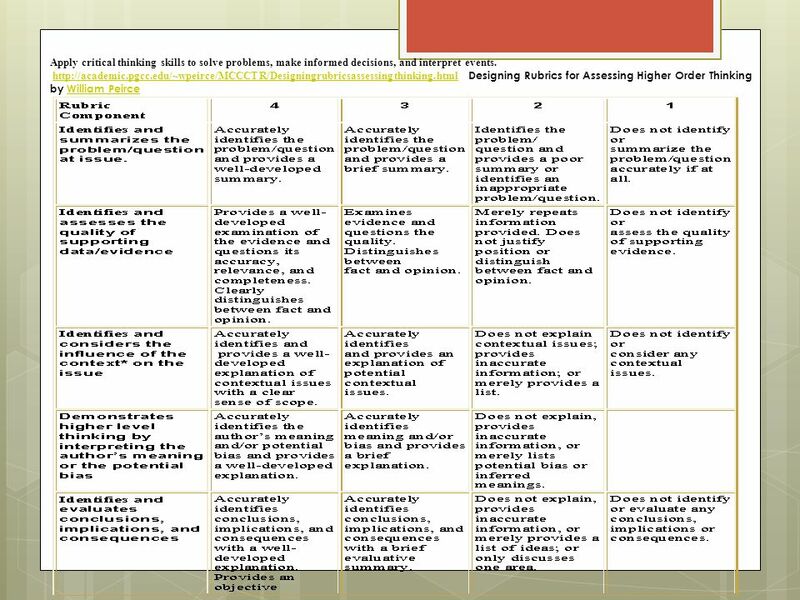 15 Analysis & Critical Thinking Defining Features Matrix Angelo, T. A. & Cross, K. P. (1993). Classroom assessment techniques: A handbook for college teachers (2 nd Ed.). San Francisco: Jossey-Bass. 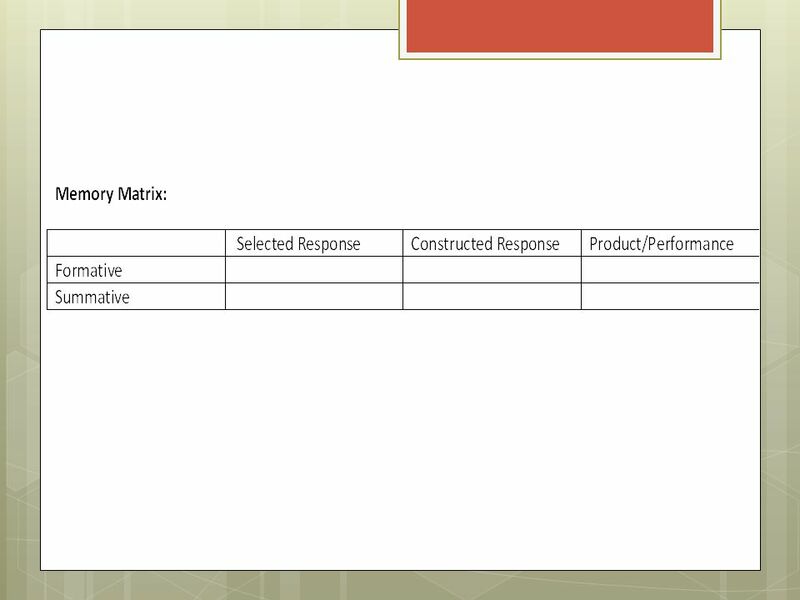 Add-on Assessments (continued) Institutional Assessment Course/Classroom Assessment Instructor-designed Large Samples Sophisticated statistical data Focused on classroom teaching Analytic Memo: One to two pages, analysis of a problem, present specific roles-students role and the audience. 17 Add-on Assessments (continued)  Skill in Problem-Solving  Problem Recognition Tasks  What’s the Principle?  Create a list of principles taught in the class and a list of problems. The students identify which principle is related to each problem. 28 Decisions  What types of decisions might you make with this type of data? 29 Resources  AACU Rubrics: http://www.aacu.org/value/rubrics/index_p.cfm? 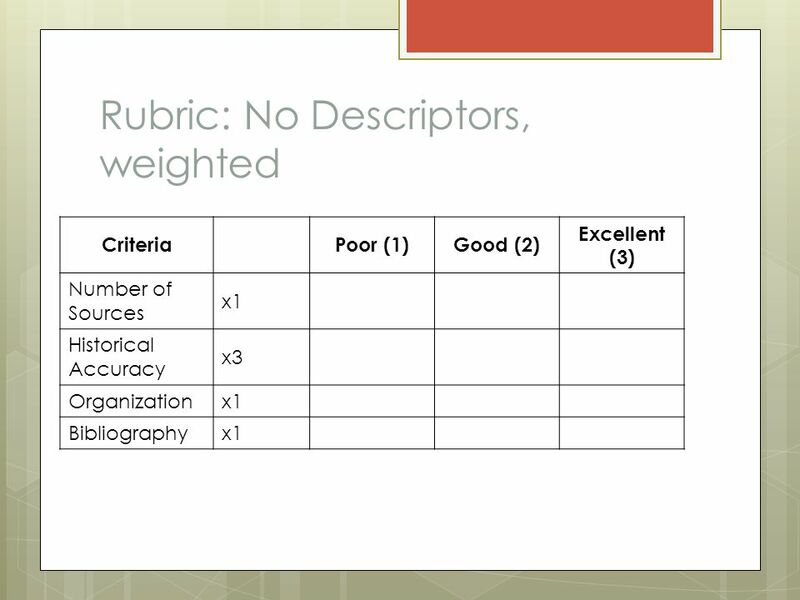 CFID=37317515&CFTOKEN=54026278 http://www.aacu.org/value/rubrics/index_p.cfm? CFID=37317515&CFTOKEN=54026278  Angelo, T. A. & Cross, K. P. (1993). 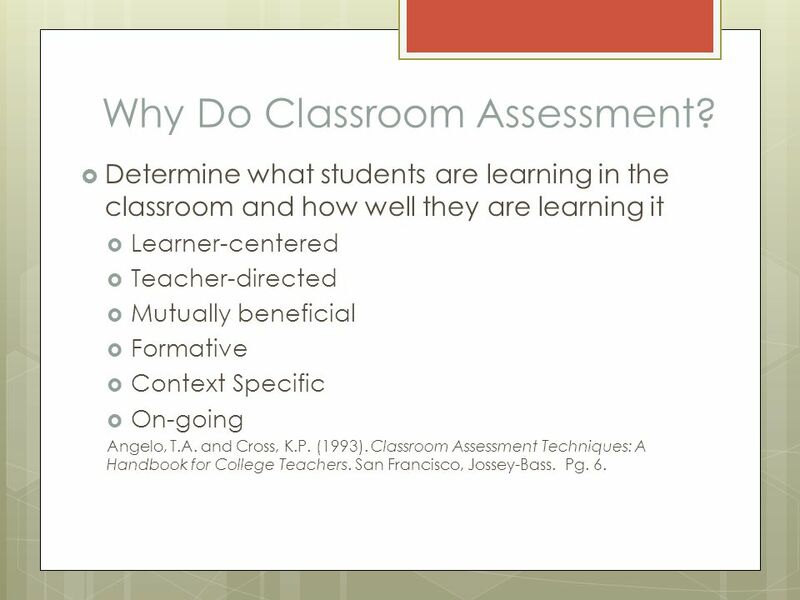 Classroom Assessment Techniques: A Handbook for College Teachers (2nd Ed.). San Francisco: Jossey-Bass.  Authentic Assessment Toolbox: http://jfmueller.faculty.noctrl.edu/toolbox/whatisit. htm created by Jon Mueller. Professor of Psychology, North Central College, Naperville, IL. http://jfmueller.faculty.noctrl.edu/toolbox/whatisit. htm  Diamond, R.M. (2008). Designing and Assessing Courses and Curricula (3rd Ed.). San Francisco, Jossey-Bass.  Suskie, L. 2009 Assessing Student Learning: A Common Sense Guide (2nd Ed.). San Francisco, Jossey-Bass. 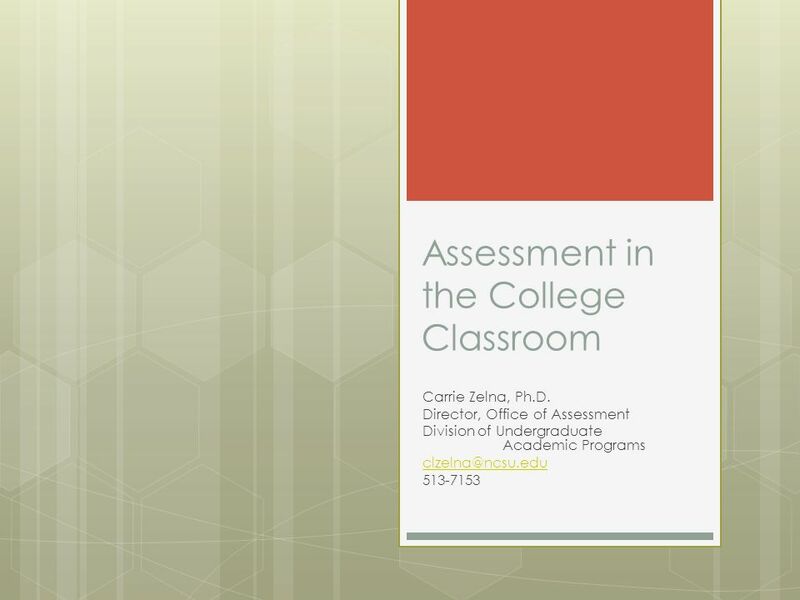 Download ppt "Assessment in the College Classroom Carrie Zelna, Ph.D. Director, Office of Assessment Division of Undergraduate Academic Programs 513-7153." Laurie Richlin conceives of university teaching on a continuum: Unreflective, rote teaching, doing only what was done to us Reflective teaching, using. 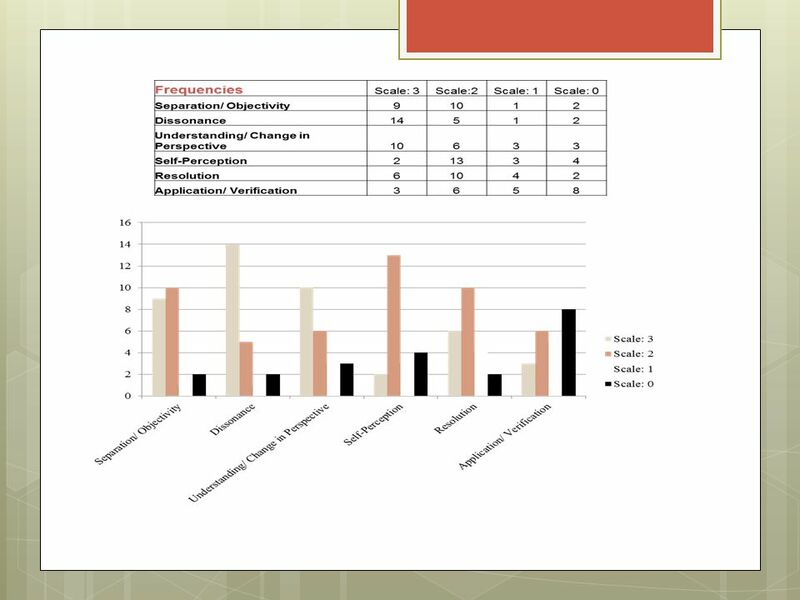 Classroom Assessment Techniques for Early Alert of Students At Risk Carleen Vande Zande, Ph.D. Academic Leaders Workshop. Program Goals Just Arent Enough: Strategies for Putting Learning Outcomes into Words Dr. Jill L. Lane Research Associate/Program Manager Schreyer Institute. Pre and Post Assessments A quick and easy way to assess your Student Learning Outcomes. ASSESSMENT 101 Preparing Future Faculty (PFF) Workshop Spring 2011 Facilitators: Dr. Kara Penfield, Director of Academic Assessment; Isis Artze-Vega, PFF. Assessment by Design Hazlet Township Public Schools Professional Development Day October 11, 2010. Course Design: The Basics Monica A. Devanas, Ph.D. Director, Faculty Development and Assessment Programs Center for Teaching Advancement and Assessment. How Do You Know That Your Students Are Learning? 2012 Curators’ Teaching Summit Nov. 12, 2012 – Session 3. Introduction to Academic Assessment John Duffield Office of Academic Assessment Georgia State University September 2013.